Frequent walking can help you lose weight. Losing weight is a challenging endeavor that seems daunting and impossible to many women. Calorie counting and expensive gym memberships intimidate even the most daring, yet the goal to shed pounds is always present for many women. Frequent walking can help you shed pounds, especially when paired with a healthy diet. In the end, it all comes down to creating a calorie deficit. 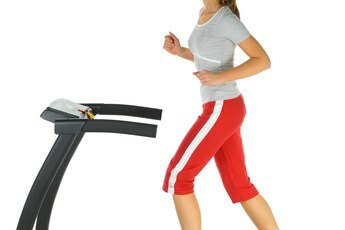 For every pound you want to lose, you have to burn 3,500 more calories than you take in. Always discuss your fitness plans with your doctor prior to starting a new exercise routine, especially if you have a medical condition. Purchase a pair of comfortable walking shoes and a pair of moisture-wicking socks if you don't already own them. Nothing will derail your walking workouts and weight-loss plans like sore, blistered feet. Look for shoes specifically designed for walking that will support your feet and legs. Create a walking plan and estimate the number of calories you wish to burn each day. The number of calories burned while walking depends on many factors including your starting weight, your pace, the incline and the length of your workout. Use an online calculator to determine the number of calories you'll burn with each walking workout. To lose weight, you will have to walk most days of the week at a quick pace that is safe for you. Create a menu plan, incorporating as many fresh fruits and vegetables as you can fit in. Lean meats will provide healthy protein needed for energy and muscle recovery. Keep your walking workouts in mind as you create your menu plan. To lose 2 pounds per week, you have to create a calorie deficit of 7,000 calories. This can be done by burning more calories through your walking workouts and cutting calories from your diet. Get started walking, but don’t forget to take a water bottle with you. Stay hydrated while walking to prevent cramping and keep fatigue at bay. Use a smart phone app or pedometer to keep track of your steps. Some apps will track your distance and speed and estimate the calories burned at the same time. Use a smart phone app or website to help keep track of your calories. Many of these programs are free and take the guesswork out of your menu planning. While it may be tempting to pop ear buds in your ears to jam to your favorite tunes while you walk, this can be dangerous because it doesn’t allow you to hear the sounds around you. Save your jam session for days when you walk indoors on a treadmill. If you’re walking around your neighborhood, remain alert to make sure you’re safe during your walk. 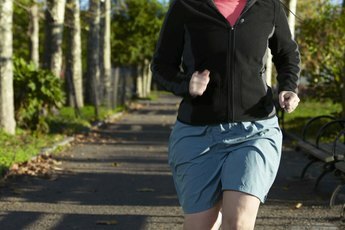 Ace Fitness: Does the intensity of my walking program matter? Walking Info: How many calories do I burn by walking?